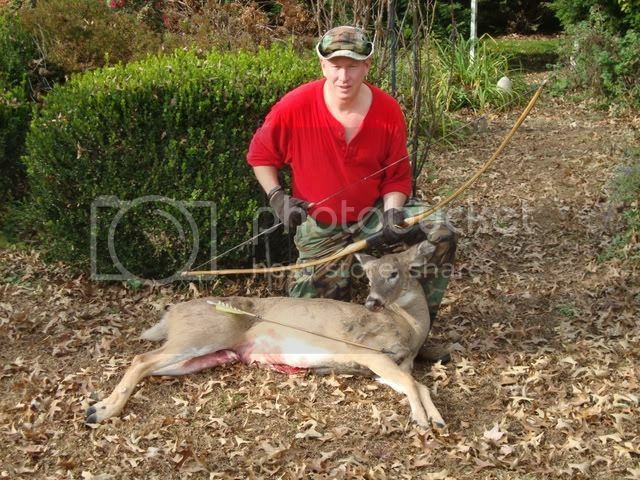 Congrats to my brother Chris on his second selfbow doe! Congrtas to your Bro. Did he make the bow himself? If he did, it is even more special to take an animal with the works of one's own hand. Yes, he made it. "ol'Ugly"...not the best designed and the handshock kills on both ends he says! you still striking out Greg? Yup, no luck yet for me. Y'all have a good Holiday weekend!